Did you know that St Luke’s now has a physiotherapist? Alison Carlyon joined St Luke’s at the beginning of July as our new physiotherapist. Alison comes to St Luke’s with a wealth of experience working in a palliative care environment, having worked for Children’s Hospice South West since 2005. Alison felt the decision to join the St Luke’s team was the natural next step for her. The role of a physiotherapist in palliative care is to help patients overcome their limitations in order to improve their quality of life. Physiotherapy can also help patients to manage and cope with difficult symptoms such as breathlessness and anxiety. Alison will be working with patients to help them with their movement and balance as they adapt to their changing condition, as well as providing guidance and advice to them and their family and carers to ensure that their pain is controlled and maximum comfort is maintained. Alison, who is based over at Brooklands with the community team, describes her role as “supporting a patient the best you can in the worst possible situation.” She is working alongside our community team helping patients to be as comfortable as possible in the last months, weeks and days of life. 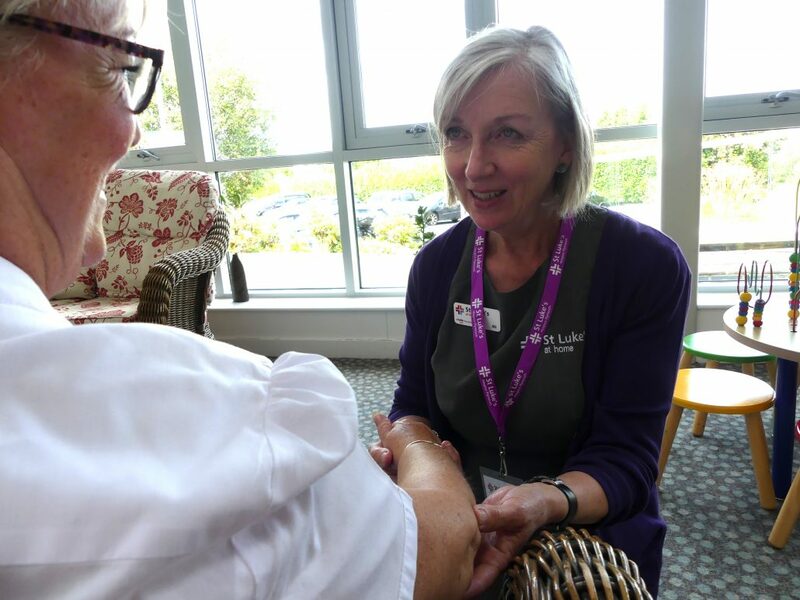 Alison’s day to day involvement with patients can be anything from supporting mobility, chest treatments for respiratory problems, to positioning in the last days of life. Alison will be spending time with patients in our specialist unit as well as out in the community, seeing people in their own homes and in her words, “supporting them to live as happily and as comfortably as possible”. She is also hoping to set up an outpatient clinic on a Thursday afternoon which will run via referrals.